Club Penguin Cheats by Mimo777 Club Penguin Cheats by Mimo777: Club Penguin: Club Herbert Update! Club Herbert has been updated, take a look! 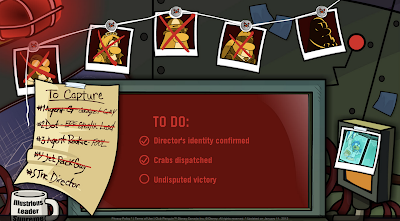 So, Herbert knows who the Director is.... That's fishy. alot of people think aunt arctic is the director! if you do the glitch where you can get to the final room and finish the security, it shows you! BTW aunt arctic is the director cuz there's this glitch where you get to the finale room and complete chapter six!!!! at the end there is a video and it shows u that aunt arctic is the director check clubpenguininsiders.com for details on how to do the trick!!! aunt arctic is director!!! watch video!!!! Aunt Arctic is the director. I completed the mission already. its aunt artic!! ps has anyone else seen the blinking red light in the beacon telescope? Everyone already knows Aunt Artic is the Director and she is British apparently. It is Aunt Artic! But the voice is stupid...The Morse Code Dance Club and every secret is correct! Aunt Artic is the director you will know soon. It's aunt arctic, if you do the glitch that lets you into the last room, there's a cut scene where she reveals her identity. Yeah Ive Seen The Red Blinking Light Too! Its Weird, Right? I did the glitch you go to the 2nd sector then click on the boxes then click on the folder to the last thingy then exit while the thing is closing.... I know I did it and i finished the game too you guys are wrong there is NO aunt artic video! I'd rather die than have to serve under her it's just plain wrong after winning the game you get the complete pin thenthe screen goes black and it says "OH oh the facility is going to explode" then CP realizes it's not time and says "Sorry this pin is not yet available" thenyou end up back in the last sector there is no aunt artic I doubt you even tried the glitch. clubpenguininsiders is wrong on this they make mistakes too it's all just guessing there is no solid proof PS the directors a bald guy aunt aartic is a girl so how in the world can SHE be a HE ?! How Does Aunt Arctic Talk In That Deep Voice!? And She's British!!! Whoa XD. Aunt Arctic News Flash!